A while back, Kimchi was visiting a relative in Texas. 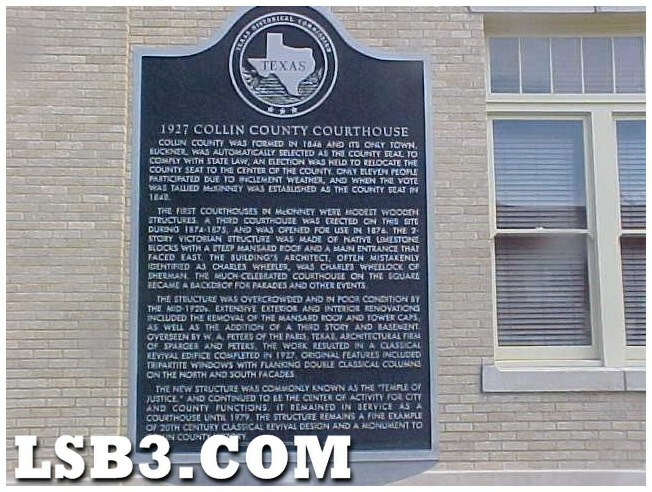 Part of her agenda was to see for herself, where Tex Watson grew up. Here are some photos from her trip. 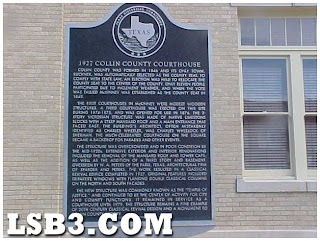 This is the Collin County Courthouse in McKinney Texas (jail is inside) where Tex was held while fighting extradition. 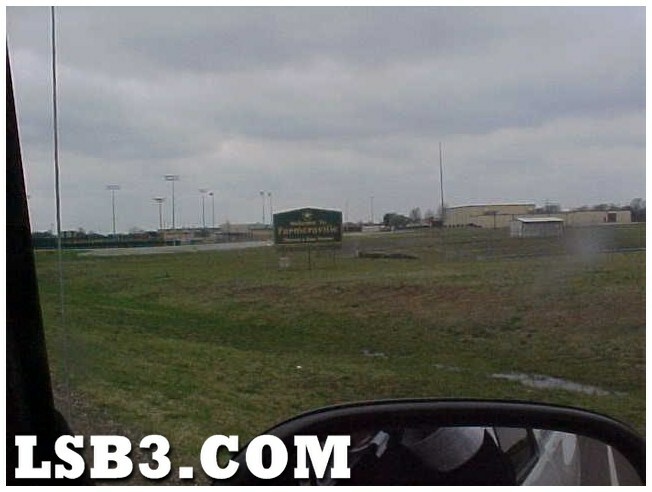 Farmersville High School where Tex ran track and played football. 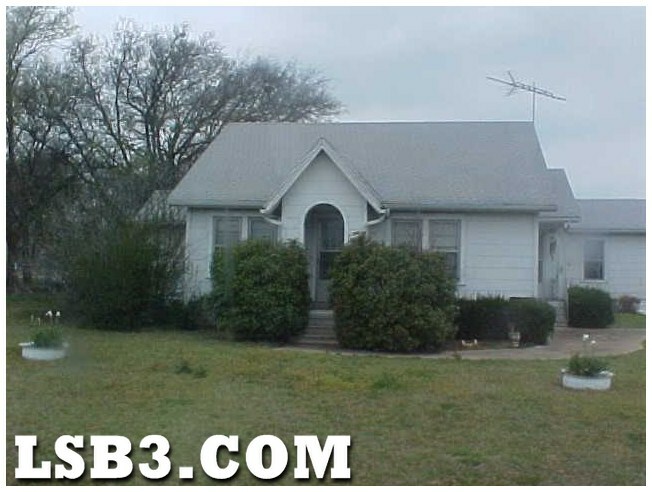 House where Tex was raised....it still looks the same. 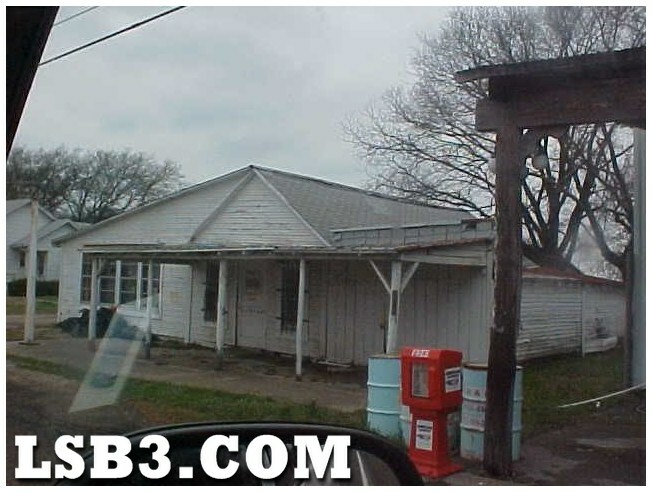 The old Watson Store and gas station (minus the gas pumps). 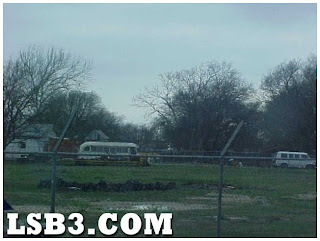 Backyard of the old Watson house - notice the school bus in the yard. 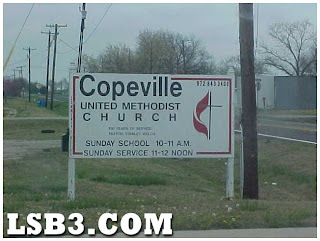 Last but not least, the Copeville Methodist Church - its only a few hundred yards from the Watson house. Thanks for sharing your photos Kimchi! 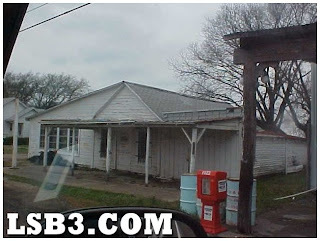 "The old Watson Store and gas station (minus the gas pumps)". I'm assuming Watson's parents' made their living as convenience store/gas station owners? Gives a whole new meaning to 7/11! LOL! Audie Murphy was from Copeville too. Audie was offered a place to stay at Jimmy Cagney's home in LA after WWII when Audie needed a place for long rehab after being shot up pretty bad. Audie became a movie star after his stay with Cagney. 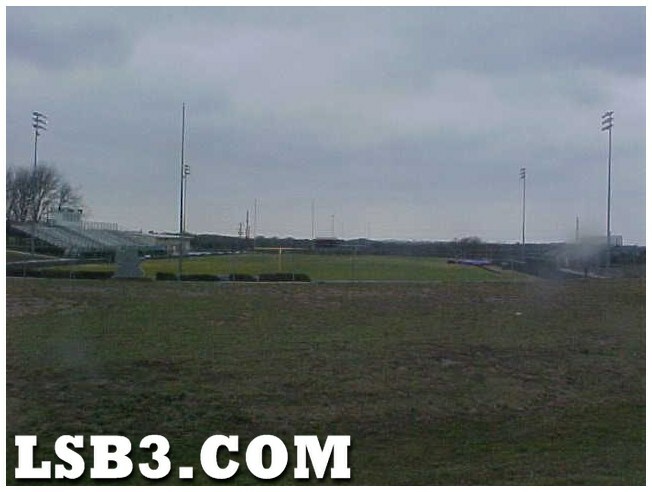 what a boring looking place-bet tex wishes he stayed there. I was curious about that gas station/store. 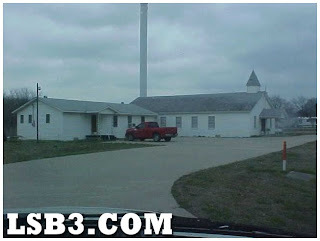 Is that building abandoned? Do you know the address for it? That was such a small town that I'm sure the impact this had on the Watson family was enormous. They were probably shunned from society. Everybody knew everybody's business. 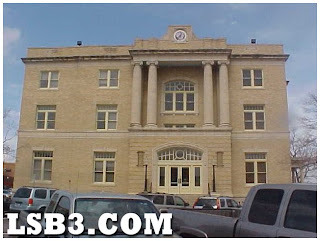 The Watson family may have been a little smug when Tex was growing up there because they had relatives in high places. What a blow to the family name. More victims of baby-killin' Tex. If that building is abandoned I wonder if it's because of the notoriety. Paul Morantz is an attorney at law specializing in the prosecution of fanatical cults, religious or otherwise, and their leaders for harmful conduct. group in the 1970s, which attempted to kill Morantz to stop his efforts to rescue members of the group. together at the wig shop, Contessa Creations in Los Angeles in the summer of 1968. I don't remember the address, but it is right next door or on the same property as the Watson house. 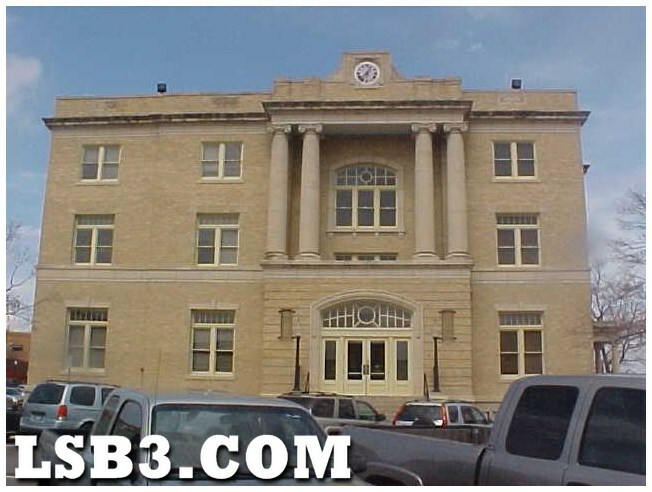 According to Tex's book, it used to have a sign on the top "Watson" but when he was arrested, his father had to cover it up or take it down because people were making it a sight seeing place or something. It looks like a storage shed now, it's very small--I mean, "very small"...can't imagine it being any type of general store like he described in his book. The last time I was in Dallas, I wanted to eat at the alligator cafe, Ivan Pugh owns that and is the chef there... But I never got around to it....I'm not big on Cajun food, but I hear they have killer calamari. Thanks Kimchi. I figured that garage was close to their home. I'm sure that when Tex was fingered in the Tate/LaBianca murders, that garage went downhill quickly. Just like the Cielo Drive house, it became a place of curiosity, to pillage and take things. No one brought their cars to be repaired anymore, just taking things off the building for souvenirs. That garage is where Tex learned how to work on cars, and later on fixed the dune buggies for Manson. I wish I had known that. The last time I was in in Dallas "proper" was in 2007. I've been in Grand Prairie & Arlington many times. I could have stopped off at that cafe. Well the time change gets me every time. I feel like it's an hour later than it is...because it is. LOL. I was perusing through Cielodrive.con photo archive and noticed a decent shot of Leno's guns. Leno collected, he was not a plinker nor were the guns for defense. There were 14 in all. All of them were handguns. All of them were historical type firearms. Two were derringers, one was a musket, the rest were western cowboy models. Some of them were cap and ball, black powder types. Ironic that Leno was a cowboy gun junkie who was murdered by kids who lived on a cowboy western movie set. interesting that the killers didn't take at least some of the weaponry but i guess if your making an escape via hitchhiking you are keeping the load light. I don't know if the killers knew the guns were there. I've never read anywhere that they discussed finding them. It's too bad that Leno didn't have access to at least one of them. It would have most likely turned out very differently. I wonder why they have a school bus in their yard. Do you guys remember where the guns were kept? What part of the house? I thought we did a thread on Ivan, no? That's right Kimchi. Ivan was mentioned on that Friedman thread. I had forgotten about that. I don't know Leno stashed his guns or coins. Maybe in the bedroom closet? I think the only thing Leslie was interested in at the time was all the "pretty dresses" she could steal. It doesn't appear that burglary was a motive. They left a lot of valuables behind. Yeah, it's ironic about that bus. Wonder if anyone's contemplating on painting it black. LOL. There's only one thing on Ivan in the blog index and it's not that. Maybe it was in the comments? Does he promote it on Food Network? I've not heard of it. Hey Kimchi, does he do those "throwdowns" like Bobby Flay? I LOVE those. Hoo Hoo. Bobby never wins. Maybe Ivan will. LOL. 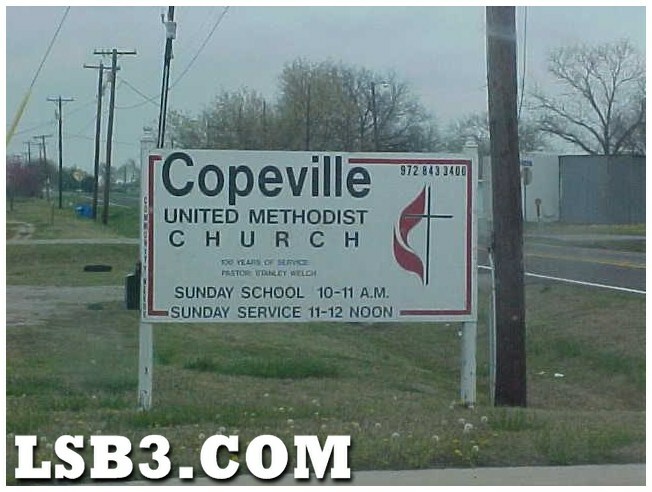 The Methodist church has been renamed Community Methodist which is the name of the school district that serves the community of Copeville. The Watson's grocery store/gas station and their house is owned by a local fellow named Dewey. The store is full of junk/storage and the house is rented to someone. 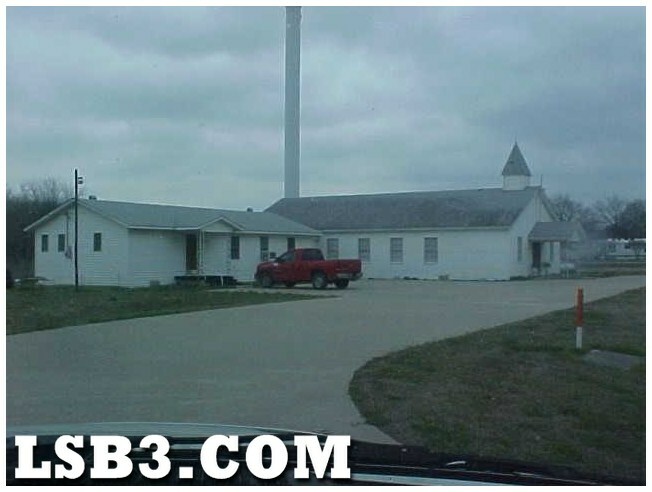 The house and store on business HWY 78 and the church is on CR 1778. So did Charles Tex Watson have a sister named Linda? She was older, went to ETSU, became a teacher.